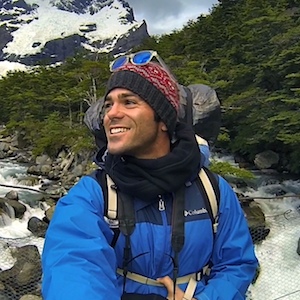 While backpacking throughout Patagonia I went on some pretty epic treks! 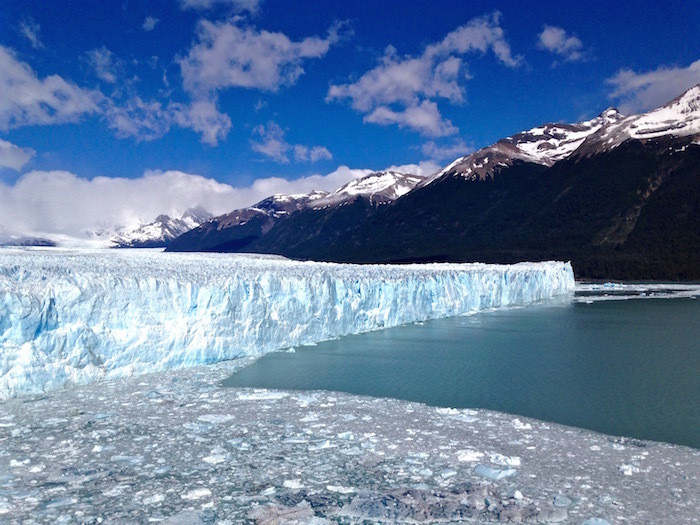 In addition to my 5-day hike through Torres del Paine, I was also able to explore Big Ice Perito Moreno Glacier in Argentina. 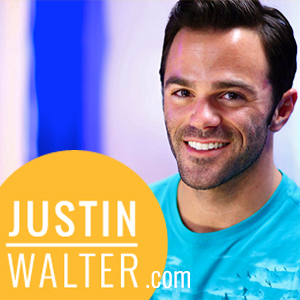 Travel Tip – Make sure the tour has your correct info! Mine never picked me up, but they paid for a taxi and I caught up with my group. 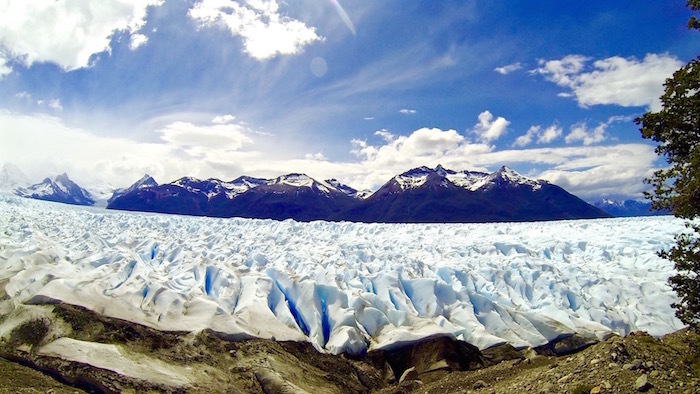 Perito Moreno is located in Los Glaciares National Park, just about an hour north of a small town called El Calafate. 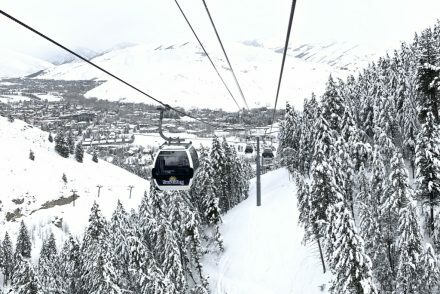 The easiest way to get there is to book a tour. 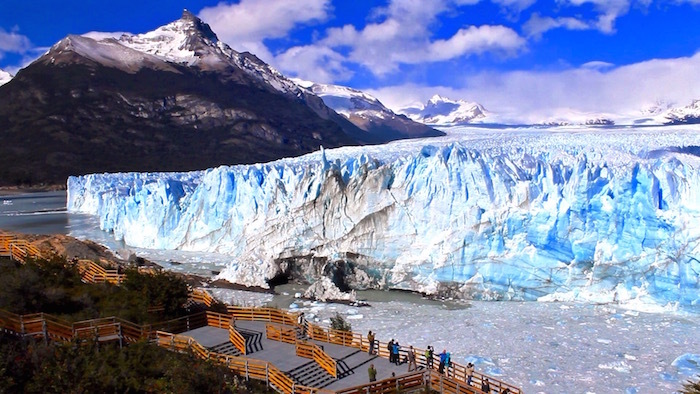 Entrance into the park will give you access to viewing Perito Moreno from a distance via catwalks, but if you want to get up close and personal you must book a tour. 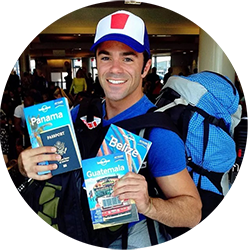 Travel Tip – Understand the “blue dollar” exchange rate before going to Argentina! 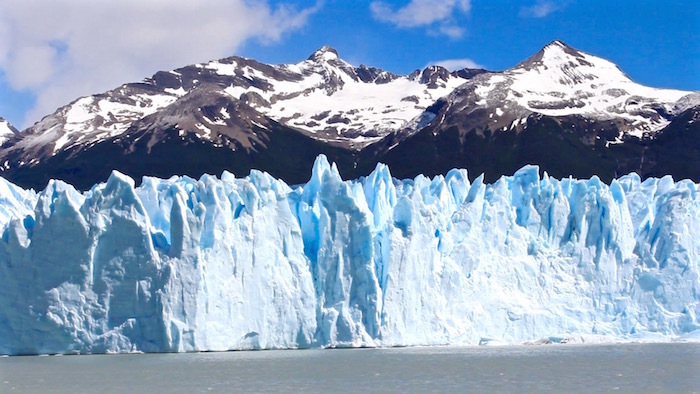 I saved over $80 USD on Big Ice by using American dollars instead of Argentine pesos. 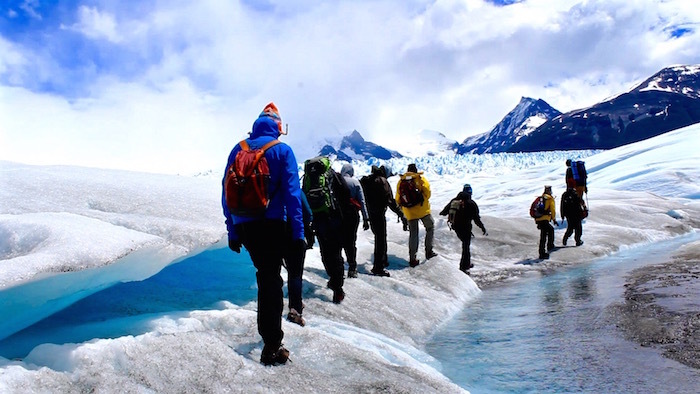 When figuring out how you want to explore Perito Moreno check out the company Hielo & Aventura which offers various excursions including a “Mini Trek,” “Big Ice” and “Safari Náutico.” Both the Mini Trek and Big Ice Perito Moreno tours allow you to actually hike on the glacier – about 2 hours for the Mini Trek and just under 4 hours for Big Ice. 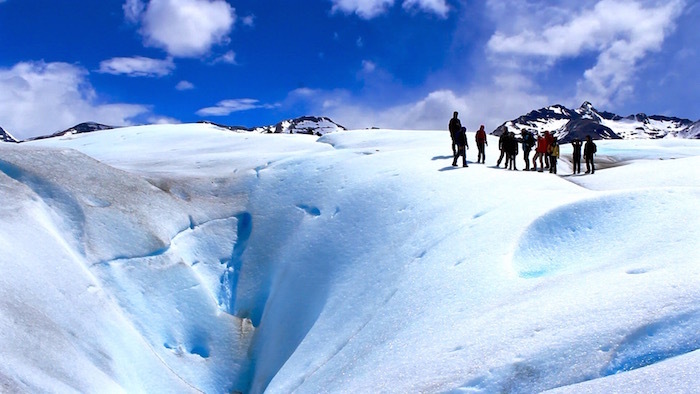 If you don’t want to walk on the glacier, Safari Náutico offers an hour boat tour with views from Lake Rico. 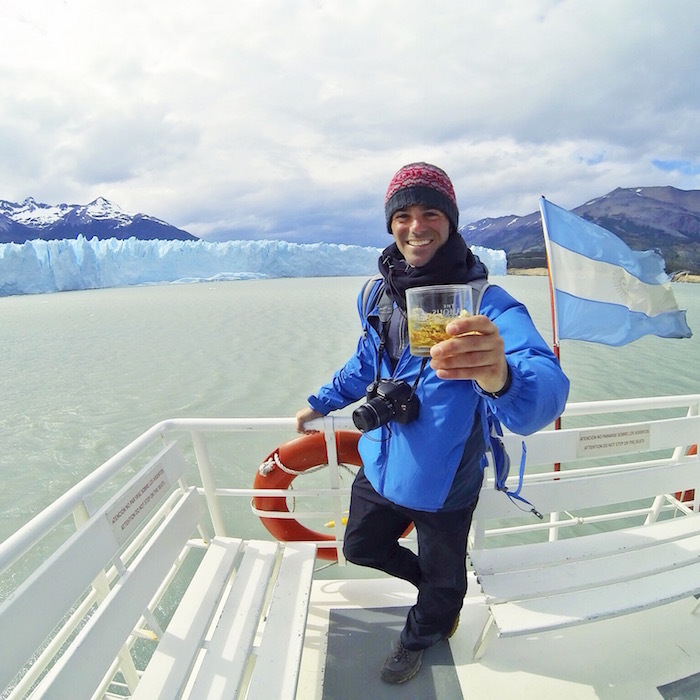 From the moment I heard about Big Ice Perito Moreno, I knew it was the tour for me! 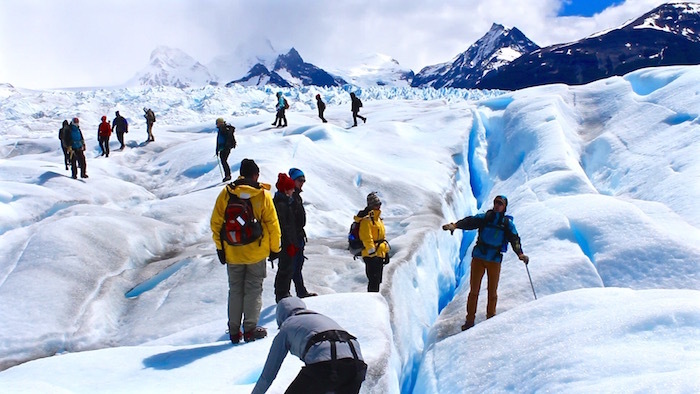 I never have had the opportunity to walk on a glacier before so I wanted to maximize this once-in-a-lifetime experience. 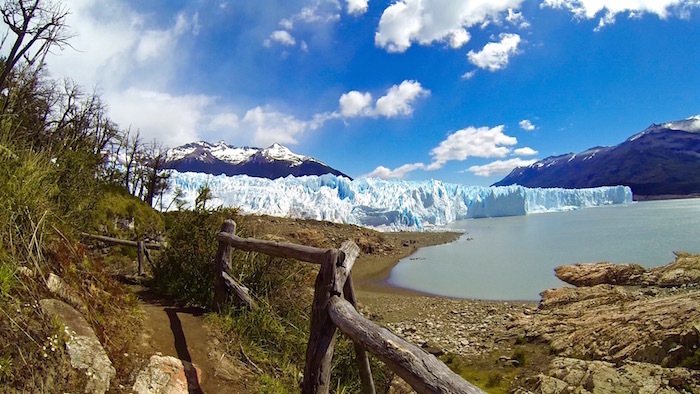 When I initially saw Perito Moreno at a distance from the visitor center catwalks, I was completely blown away by its beauty. Next we took our bus to a boat that transferred us across the water to the Hielo & Aventura lodge. Here we were split up into small groups and assigned guides. 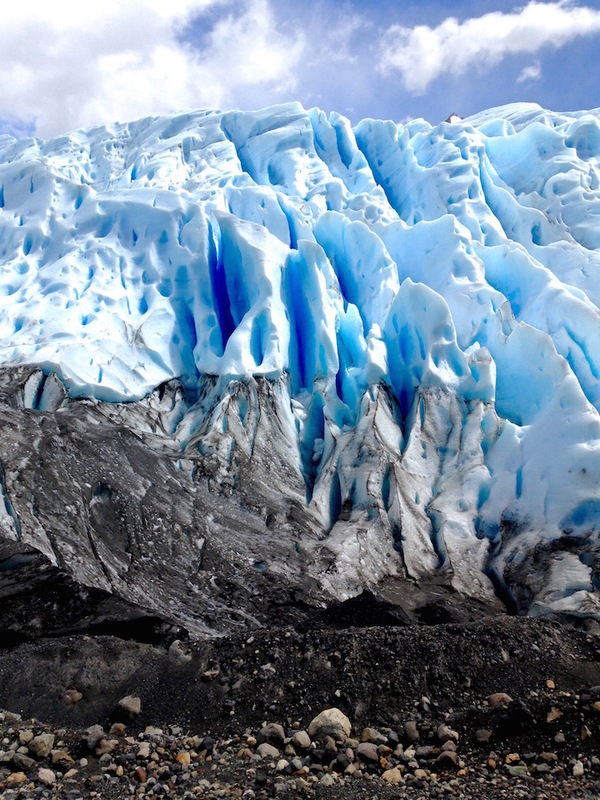 We then hiked about an hour through the forest to the entrance of the glacier where we were given safety gear including crampons for our feet. 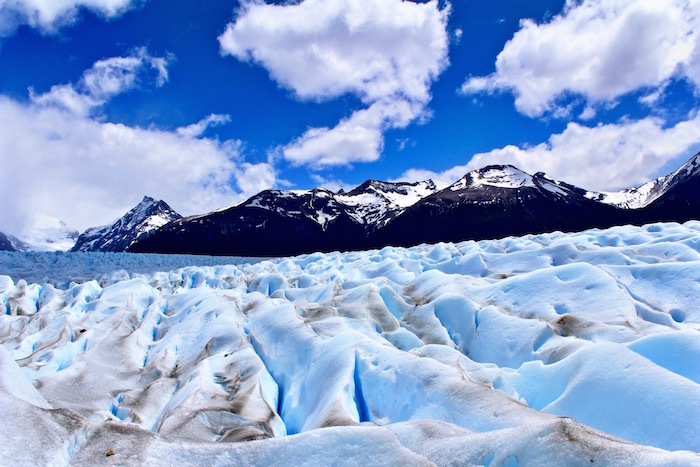 Fun Fact – Perito Moreno is 30km long x 5km wide x 60km tall and constantly moving. 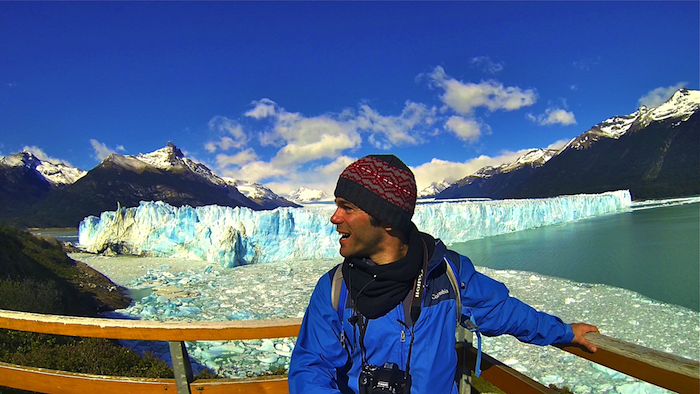 For nearly four hours I trekked on Big Ice Perito Moreno in complete awe. 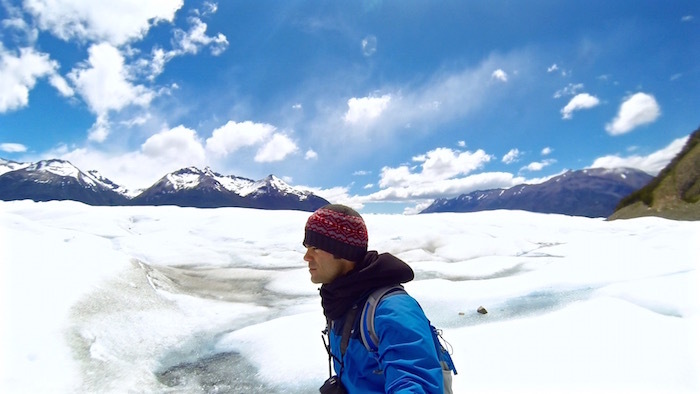 Every step I took and every turn I made allowed me to lose myself deeper into a white wonderland of snow-capped mountains and breathtaking ice formations. 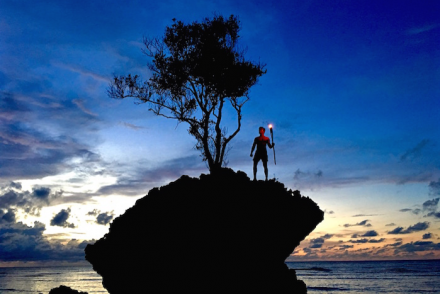 Travel Tip – If you need Wi-Fi, head into town. My favorite spots were Borges y Alvarez Librobar for good beers and food and Viva La Pepa for yummy crepes. 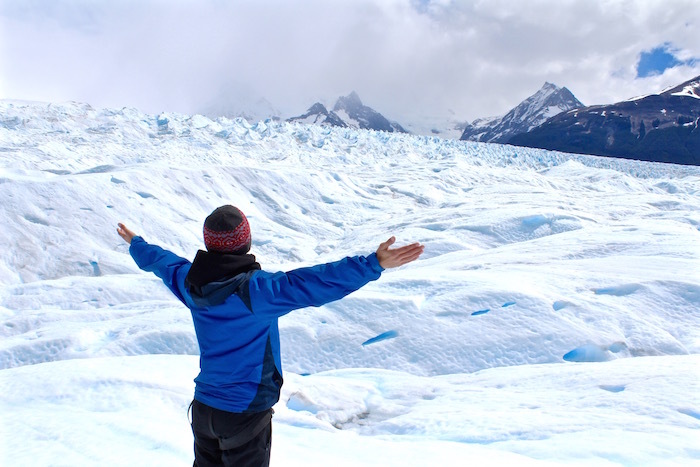 The town of El Calafate is the perfect home base for adventures like Big Ice Perito Moreno. 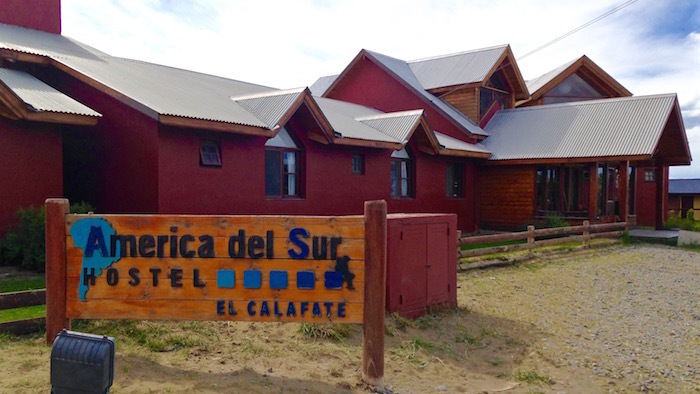 I stayed at America Del Sur and would highly recommend it. 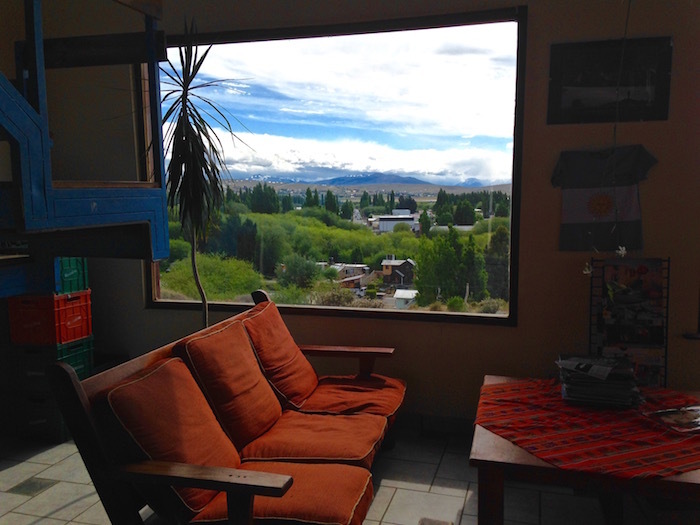 The hostel is about a 10-15 minute walk from downtown and offers scenic views. The staff was extremely helpful with information about excursions, places to eat, transportation, etc. 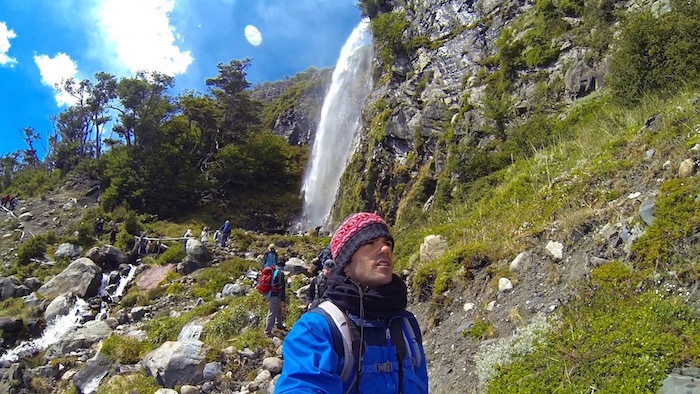 America Del Sur also attracted a lot of backpackers in their 20s/30s so as a solo traveler it was easy to make friends. 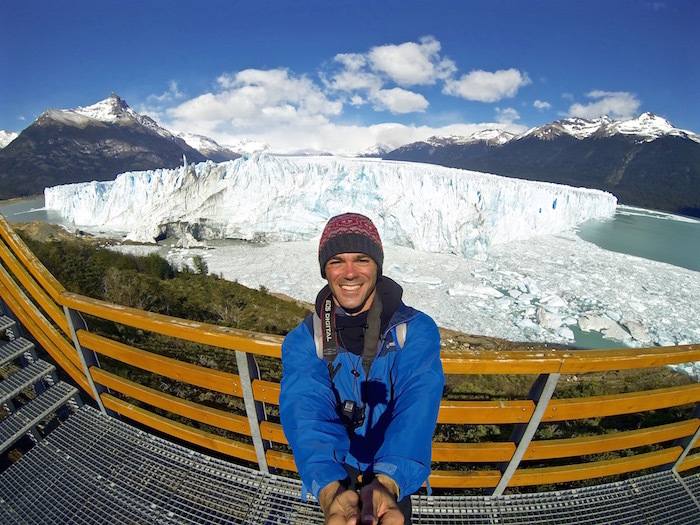 I’ve done a lot of trekking and nothing can really compare to my experience on Perito Moreno Glacier. 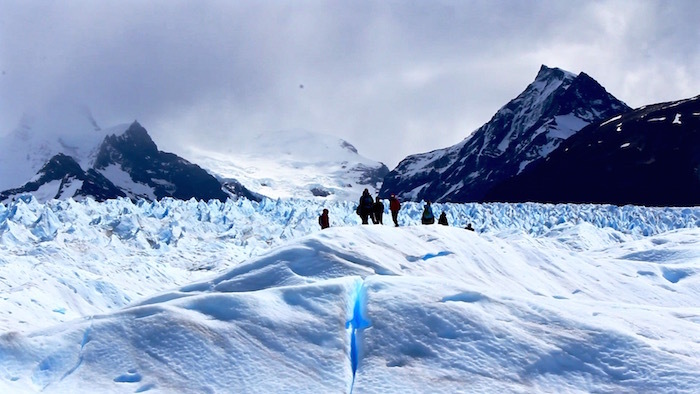 I’ve always wondered what it would be like to walk on the moon and feel like Perito Moreno gave me a small glimpse into what that experience might be like. 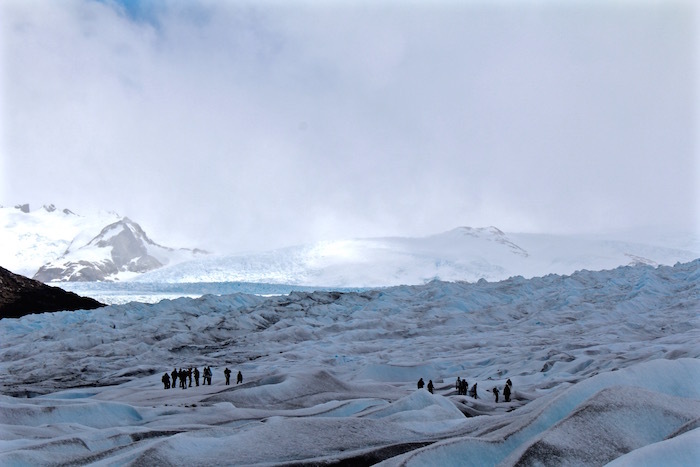 Standing at the furthest point of the Big Ice trek, in the middle of the glacier, I literally felt as if I had been transported out of this world.